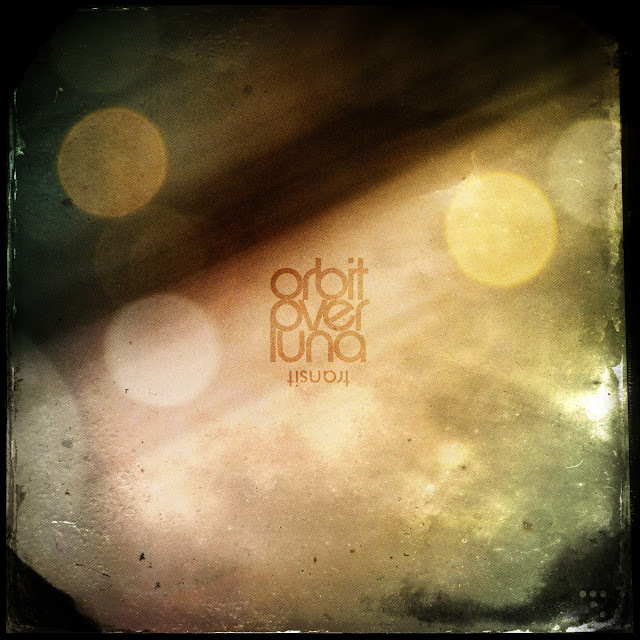 When Shannon Penner aka Orbit Over Luna releases new music I take note. His music has a quality to it that I find both entertaining and inspiring ... he is a constant in my musical life and I have become very fond of his compositions. His music gets featured on here not because he’s asked me to ... but because I want to. Everyone should have some Orbit Over Luna on their MP3 player of choice ... in my humble opinion. Recently Penner released his first full album entitled "Transit". It's seven tracks clock in around the 50 minute mark ... and what 50 minutes these are ... filled to the brim with his particular brand of ambient-infused, guitar-orientated post-rock. "Transit" features guitar-led drones and sustained notes ... with melodies played using reverb ... to create utterly delightful ambient soundscapes ... the kind that draw you in and encompass you with their warmth and splendour. "Transit" is a truly consistent body-of-work ... one that Penner should be very proud of ... and one that really does utilise the production talents of Andrew Tasselmyer from The Sound of Rescue and recently Hotel Neon ... and the mastering talents of Michel de Jong from Arafúra Audio. I feel I have only scratched the surface with this release. It requires multiple listens to extract all the nuances and subtleties that have been lovingly poured into it. In particular, I love the closing track - "in the decay of shadows" - with Penner’s use of piano to provide an additional layer of sound. I also loved the individual artwork for each track ... a wee added extra that separates Penner from his peers. His artwork, whilst abstract, does form a coherent identity for his body of work. I like that a lot. "Transit" is a welcome addition to Orbit Over Luna's body of work and an album I will cherish for a long time to come. Kudos to Shannon Penner for this expression of beauty.